Central District is downtown Baltimore’s business and entertainment district. 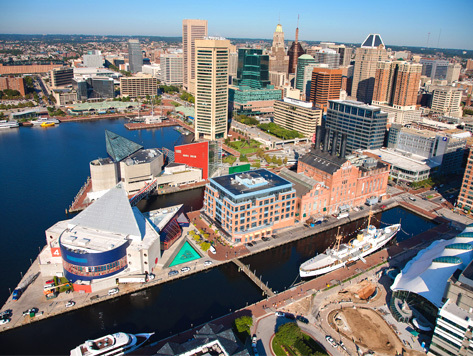 The area features many of the City’s main attractions, including Oriole Park at Camden Yards, M&T Bank Stadium, the Baltimore Convention Center, Maryland Science Center, National Aquarium, Lexington Market, Royal Farms Arena, Pier Six Pavilion, and Power Plant Live. The area is also home to many restaurants, shopping centers, sporting, and entertainment venues. Central District parking is easy to find with Baltimore Parking: Use the handy, interactive map on this page to find a parking spot closest to your location. Find parking close to Charles Center at 10 East Baltimore Street, or parking near Baltimore City Hall at Baltimore St. Garage on Guilford Ave.